Image Size: 24 X 31.5 in. If you spend a long time in a wild place, you hear things, you see things you didn't know were there. In this wild place you Framed Printmight hear Chief Eagle Feather's prayer. He is thanking the Great Spirit for the wild creatures that share his world with him. The four-legged ones. The ones that swim in the water. The ones who fly though the air. Hidden, but near, the animals and birds Pray with the chief, but not in words. 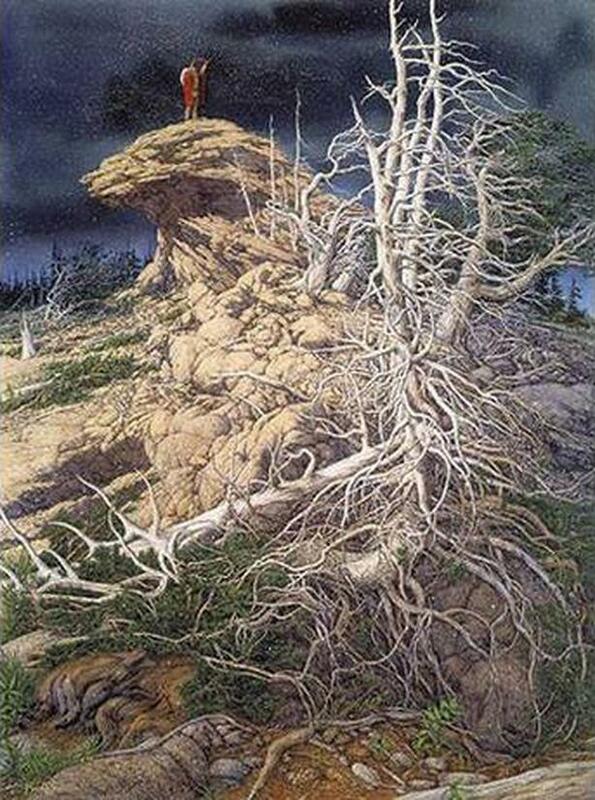 How many creatures can you find? 26 species represented by 34 animals and birds that move, flow, fly and hide in this tremendous landscape.